Sometimes, news stories ride a very fine line between being tragic and being funny. Generally, it’s a tragedy if someone dies or gets hurt, but it’s funny if somebody could’ve been hurt and yet everyone involved walks away without a scratch. A few days ago, when an 8-year-old boy in Ohio decided to take his dad’s van and pick up some McDonald’s for his 4-year-old sister, it could’ve very easily become tragic. Luckily, it didn’t, so now we can all enjoy the thrilling tale of Van Boy and his amazing quest to pick up some McNuggets for his little sister. According to The Weirton Daily Times, the boy watched videos on YouTube so he could learn how to operate the vehicle, and witnesses who saw him driving to the McDonald’s say he followed all traffic laws, including stopping at red lights and waiting for traffic to pass before making a left turn into the McDonald’s parking lot. Once he got to the restaurant and ordered his sister a cheeseburger, the employees thought they were being pranked and apparently just went along with it. Meanwhile, though, the police had been tipped off to Van Boy’s joyride. Local patrolman Jacob Koehler says he was bracing for calls about the kid crashing into a mailbox or another vehicle as soon as he heard about what was happening, but Van Boy managed to complete the mile-and-a-half drive from his home to the McDonald’s without hitting anything. The Weirton Daily Times story says that Van Boy and his sister’s parents were asleep at home when they left, after having spent all day “playing with the children outside in the beautiful Sunday weather.” Furthermore, the children weren’t being neglected, and had already had breakfast, lunch, and dinner, which means they really just wanted some cheeseburgers. 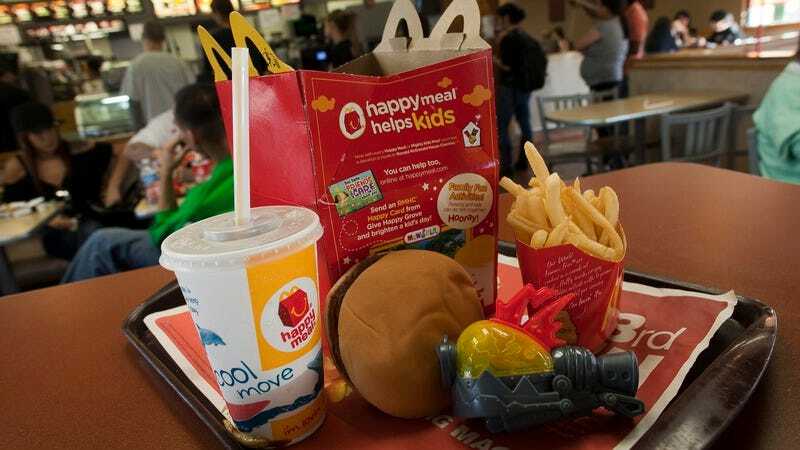 The kids got to eat various McDonald’s foods until their parents arrived, and no charges were filed. Thus ends the ballad of Van Boy, the boy who steals vans and brings McDonald’s food to little sisters in need.